The UK is currently being hit by storm Doris and it looks like it will continue throughout the weekend and into middle of next week. As you can see from this vide shot by Izzy Ismet of Underwater Explorers, conditions on Chesil are pretty rough. This morning the wind has dropped and the beach is fishable. It is one of those short windows of opportunity that most anglers are unable to take advantage of. However if you are not working today, it could be well worth the effort of getting some bait and traveling to Chesil. There is always a good chance of a decent Cod or two and there should be plenty of Whiting around. Let’s not forget the large Conger that we have seen during February and March over the past couple of years. You could always have a try in the rivers as I did yesterday. 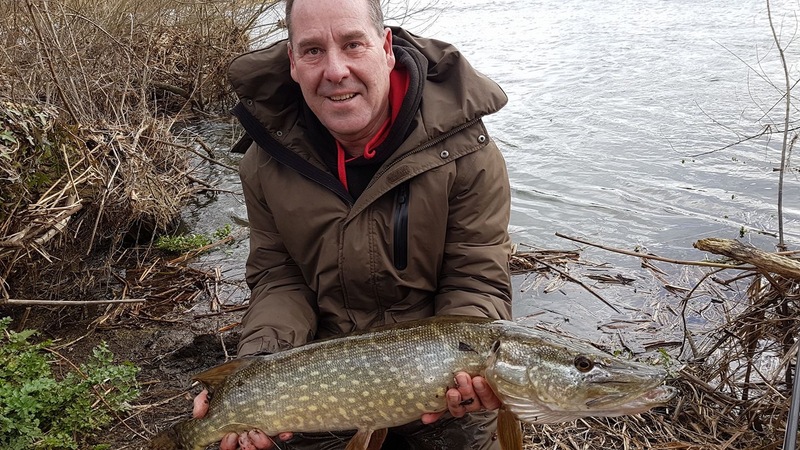 I fished the Stour and managed a number of Pike, the biggest being this one of around 8lb on a lure. Portland: rough with coloured water water. Chesil Beach forecast: If you don’t get on Chesil today, I wouldn’t bother trying tomorrow. It will be unfishable. There is the chance of a small window on Sunday morning, but I wouldn’t risk it myself. If you are going today then use black and blow lug, or large fish such as Mackerel or Squid on up and over rig. There is a good chance of a Cod and some Whiting, but expect plenty of Dogfish and Pout. Portland: keep clear of the rocks close to the waters edge, they will be very dangerous with the large swell. This rough and coloured water are ideal for Bull Huss and you may well see a few Conger as well. Large Mackerel baits, fished with a rotten bottom rig should keep tackle losses to a minumum. Portland Harbour: The harbour will provide sheltered fishing over the weekend. 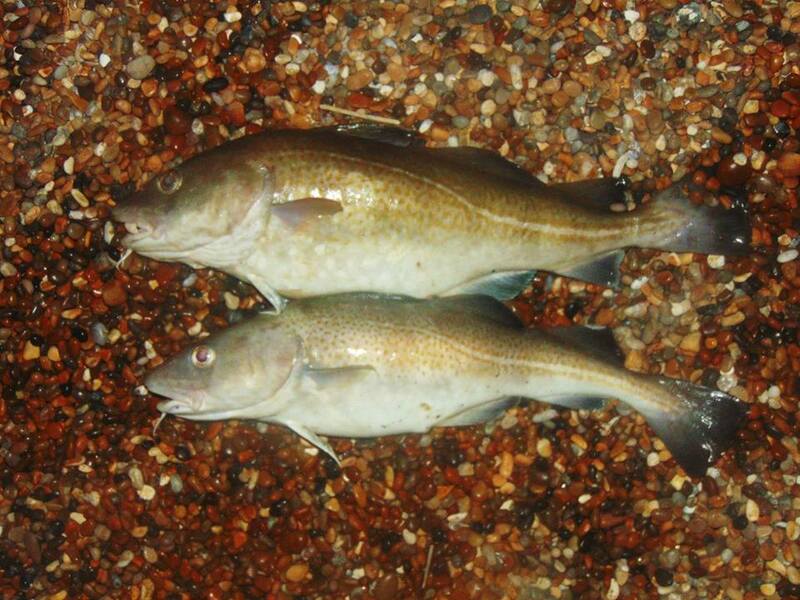 There have been plenty of Flounder caught recently and that should continue over the weekend. A wishbone Rig baited with rag worm would be my choice to target them. Weymouth Bay: Another good venue to get shelter from the winds. Flounder and Dabs will be the main target during the day, but as darkness falls Rays and Whiting should make an appearance. The Piers will not be the most comfortable of marks, but the inner harour could provide some good LRF fishing, if the water is clear enough. One Response to "A rough weekend ahead"
Can you explain what the diggers are doing on the beach? Assume they are repairing the beach but does it make a difference.